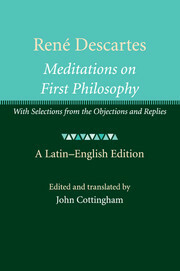 Although Ren&#233; Descartes' (1596-1650) is best remembered today for writing "I think, therefore, I am," his unique contribution to the history of ideas was his effort to construct a philosophy that would be sympathetic to the new sciences that emerged in the seventeenth century. 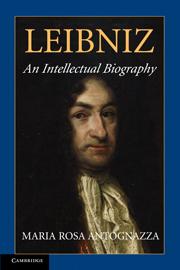 In four major publications, he fashioned a philosophical system that accommodated the needs of these new sciences, thereby earning the unrelenting hostility of both Catholic and Calvinist theologians, who relied on the scholastic philosophy that Descartes hoped to replace. His contemporaries claimed that his proofs of God's existence, in the Meditations, were so unsuccessful that he must have been a cryptic atheist, and that his discussion of skepticism served merely to fan the flames of libertinism. 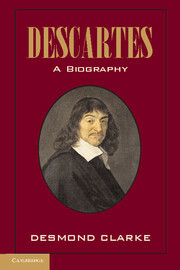 Although Descartes died in Stockholm in obscurity, he soon became one of the most famous philosophers of the seventeenth century, a status that he continues to enjoy today. 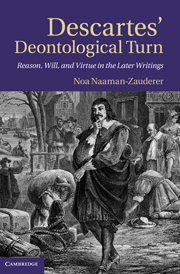 This English-language biography addresses the complete range of Descartes' interests in theology, philosophy, and the sciences, and traces his intellectual development throughout his entire career. Desmond M. Clarke is Professor of Philosophy at University College Cork, Ireland, where he previously served as Dean of Arts and Vice-President. 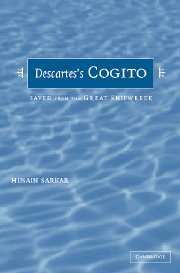 He is author of a number of books on Descartes and the seventeenth century, including Descartes' Philosophy of Science (1982), Occult Powers & Hypotheses (1989) and Descartes' Theory of Mind (1993). 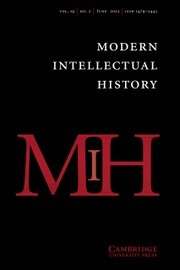 He has translated two selections of Descartes' writings and has also translated La Forge's Treatise on the Human Mind (1997) and Poulain de la Barre's The Equality of the Sexes. 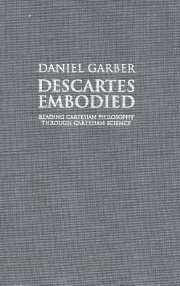 "This is an excellent critical and contextual presentation of the development of Descartes's thought in its historical context." Desmond Clarke is Professor of Philosophy at University College Cork. He received a DLitt from the National University of Ireland, was Jean Monnet Fellow at the European University Institute in Florence, and has been elected to the Royal Irish Academy. He is the author of a number of books on Descartes and the seventeenth century, most recently Descartes' Theory of Mind (2005).